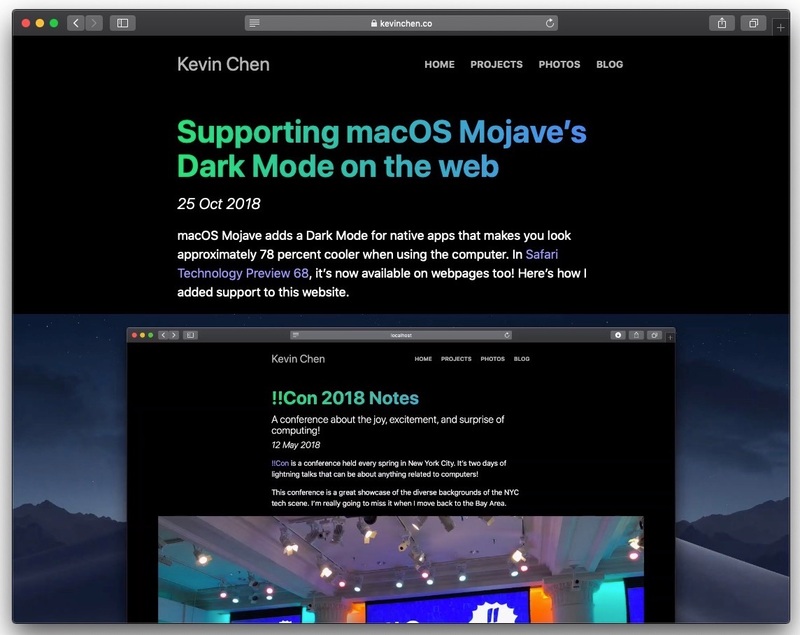 The next update to Apple’s macOS Mojave operating system( Version 10.14.4) will include a version of the Safari web browser that enables automatic Dark Mode for websites that support it. macOS Mojave users can switch between Light and Dark Mode by going into System Preferences, and clicking on the “General” icon, and then clicking “Dark” in the Appearance section. In the macOS developer beta, websites that support the new Dark Mode CSS feature will automatically adapt their color scheme to match the current system color scheme. iDownloadblog shows off an excellent demo of the difference in a website supporting the new feature between Light and Dark Modes. 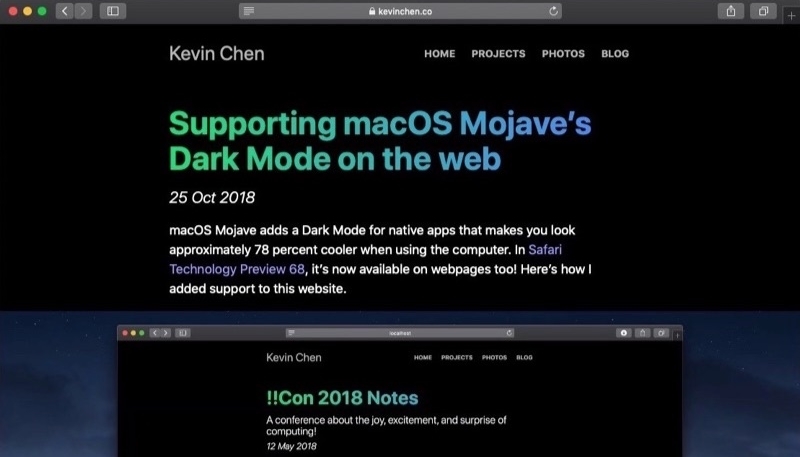 Users can also see the effect (and learn some helpful information on how developers can use the feature), by visiting software engineer Kevin Chen’s website, in the Safari Technology Preview, which can be run in tandem with the current version of Safari in any version of macOS Mojave.